Pictures 9-1, 9-2, and 9-3. These photos of car 700 show its evolution over the years. 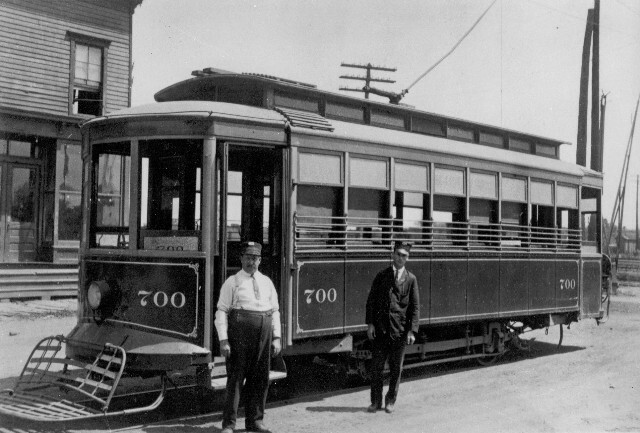 The first two show the car in its original configuration, without right front doors. 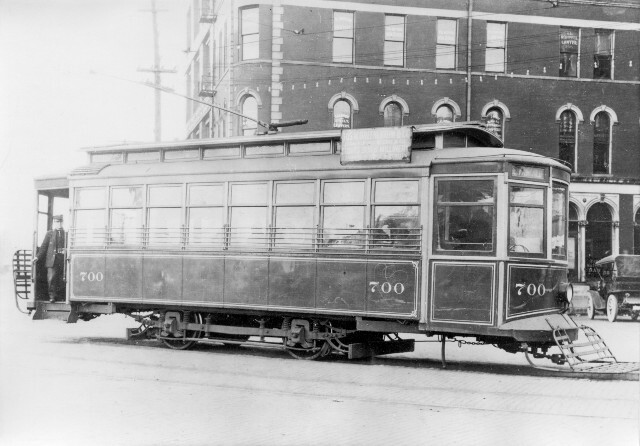 In the second picture, we see the addition of roof-mounted advertising signs at the right front of the car, similar to signs added to streetcars in other ITS cities. The third photo shows the addition of right front doors after conversion to P.A.Y.E. In that photo, the car has acquired a large-letter route sign on the roof; this one is an F for the E. Fairchild line. 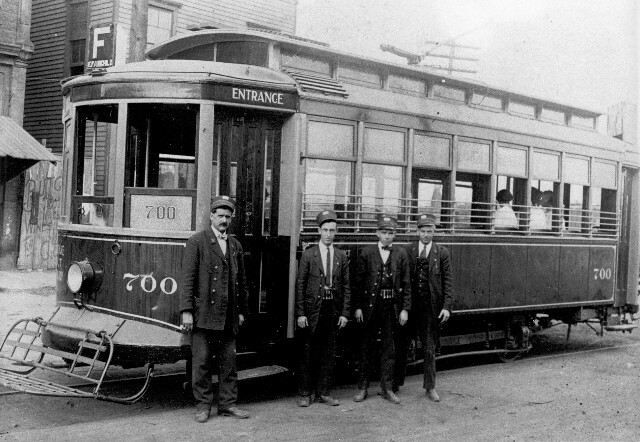 Note the frosted glass carrying the car number in the left front window of the vestibule.